The 2017 NFL Draft features a few premier wide receivers, with as many as three or four expected to be taken in the first round. 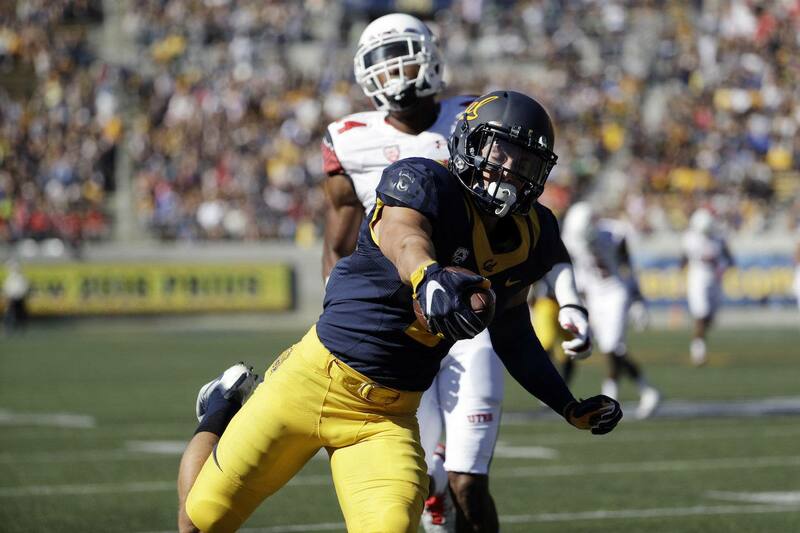 While Clemson’s Mike Williams and Western Michigan’s Corey Davis have gotten most of the praise, Cal’s Chad Hansen deserves some Day two discussion. Standing at 6’2″ 190 pounds, Hansen may ultimately need to add a little weight in order to be a true outside receiver at the next level. Regardless, he possesses the necessary traits and skills to make it work if selected to the right offense. After transferring from Idaho State, Hansen finally got his chance to shine for California in 2016. He finished the year with 92 catches for 1249 yards and 11 touchdowns. Of course, playing in Cal’s offensive system helped these numbers, but Hansen brings much more to the table than pretty stats. Hansen is a smooth route runner who gets in and out of breaks effortlessly. When he wins, he does so with quick feet and fluid hips to beat the corner off the line of scrimmage with his first step and shake. He is explosive off the line of scrimmage as well, to help him beat corners right off the snap of the ball. Here we see Hansen (bottom of the screen) freeze the corner with his hips before shaking to the inside and winning down the field. Hansen does a nice job of keep his pads clean of the cornerback, dipping his shoulder underneath the defender while getting vertical down the field. Against Texas here, Hansen slow-plays the cornerback, forcing him to slow his feet and wait on Hansen’s next move. Then, Hansen breaks to the inside smoothly, and gets open for the touchdown. Once he gets off the line of scrimmage, Hansen is able to create separation down the field with his speed and savviness. He shows no problems with tracking the ball over his shoulder, and rarely looks awkward when making catches down field. Hansen is also able to make contested catches like this. Not only does he have a good pair of hands, but he is able to high point the ball and utilize body control to maintain leverage in the air. Then, as he comes to the ground, Hansen is able to stay strong with his hands, maintain possession, and get his feet in bounds. Hansen isn’t a “quick-twitch” athlete, which coupled with his size may scare off some NFL teams, but he is an athletic player with good speed who understands leverage and route running. He is a savvy player who does a good job of shielding defensive backs to beat them over the middle of the field. He is able to accelerate past defensive backs, and is a dangerous player once the ball is in his hands. Hansen also has one of the better catch radius’ of this entire draft class. No, he doesn’t get the second foot down here which would make it incomplete at the next level, but his ability to high point the ball and show off that catch radius should not be ignored. Chad Hansen might be a top five receiver in this loaded wide-out class. He has the hands, acceleration, feet, catch radius, and route running ability you want when drafting a wide receiver on the first two days of the draft. I currently have a second round grade on Chad Hansen, which would put him in that Day two group. No, he isn’t Mike Williams or Corey Davis, but he is a solid player with the ability to be a productive WR2 in the NFL during his rookie year.